For the avid daredevil and outdoorsman, Battery Joe realizes that “all-terrain” means more to ATV drivers than simply off-roading. However, the passion, the adventure, and the breathtaking experiences you might stumble upon on your ATV would be nothing without the batteries to make your device operated properly. At Battery Joe, we give our customers the chance to explore new technologies available in power sport batteries, and we pride ourselves in helping you open doors to new adventures every day. Specializing in two types of ATV batteries, Battery Joe gives you options as to which battery will best serve your needs. Our Absorbed Glass Mat (AGM) or “gel” battery can provide increased power and reliability on your expensive bikes, while our new Lithium battery technology can lighten the weight of your bike by as much as 8 pounds when top-end weight is a concern. Both of these newer battery technologies are vastly more reliable than standard batteries and generally come with far better warranties than traditional bikes. Who wouldn’t want that? No matter what your favorite outdoor activity is, we want you to enjoy it! By choosing our high quality ATV batteries, you are purchasing durability, longevity, and safety. Open more doors to exploration, and trust us to take care of your ATV battery needs. There’s no need to worry any longer – because quality means more at Battery Joe! New lithium battery technology can shave as much as 8 pounds off your bike when top-end weight is a concern. Both of these newer battery technologies are vastly more reliable than standard batteries and generally come with far better warranties than traditional batteries. 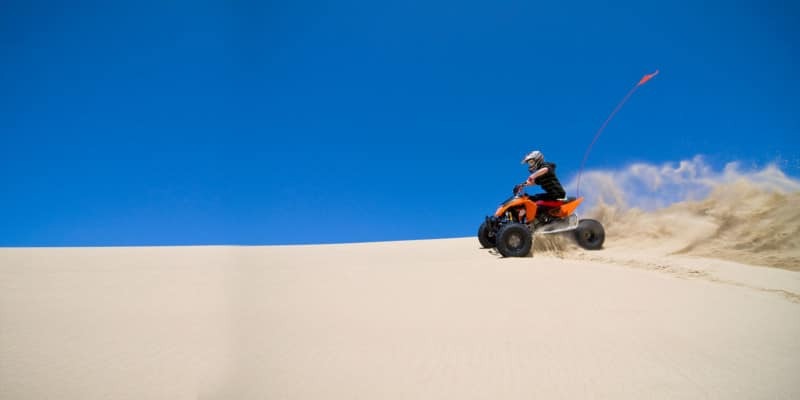 The experts at Battery Joe know even more about ATVs and ATV Batteries..